The Jan Shrem and Maria Manetti Shrem Museum introduces fee-based workshops where people can experiment with some of the techniques exhibiting artists are using. Arielle Rebek, M.F.A. ’17 leads the “Cyanotype Lab”: Learn about the history of cyanotype and then visit the Andrea Chung exhibition, You broke the ocean in half to be here, to see how the artist uses cyanotypes in her work. 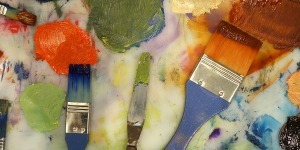 Then head into the Carol and Gerry Parker Art Studio to experiment with this medium. You’ll experience the entire process from preparing the materials to fixing and toning the final images. Play with your own nature-inspired images on paper and fabric. Fee includes all supplies and materials. Ages 16 and up. Two other workshops are scheduled this summer: “Drawn From Nature” (July 21) and “Abstract Responses to Nature” (Aug. 4). See separate listings. If you sign up for all three workshops, you will receive a 10 percent discount. Advance registration is required; call 530-752-8012 from 8:30 a.m. to 5 p.m. Monday through Friday.